Alloy chain ring 60t. 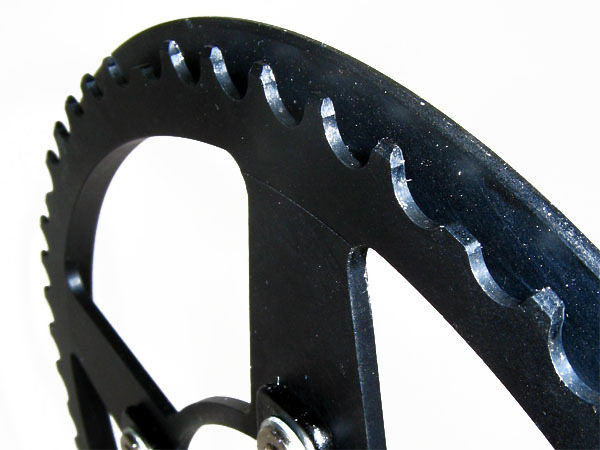 with integrated, single sided CNC chain guard. (Basic assembly at Toxy-ZR.) Please notice: For 27-speed chain drive, we optimize gear range from 3 chain wheels to 2 with 60/42t. combination.